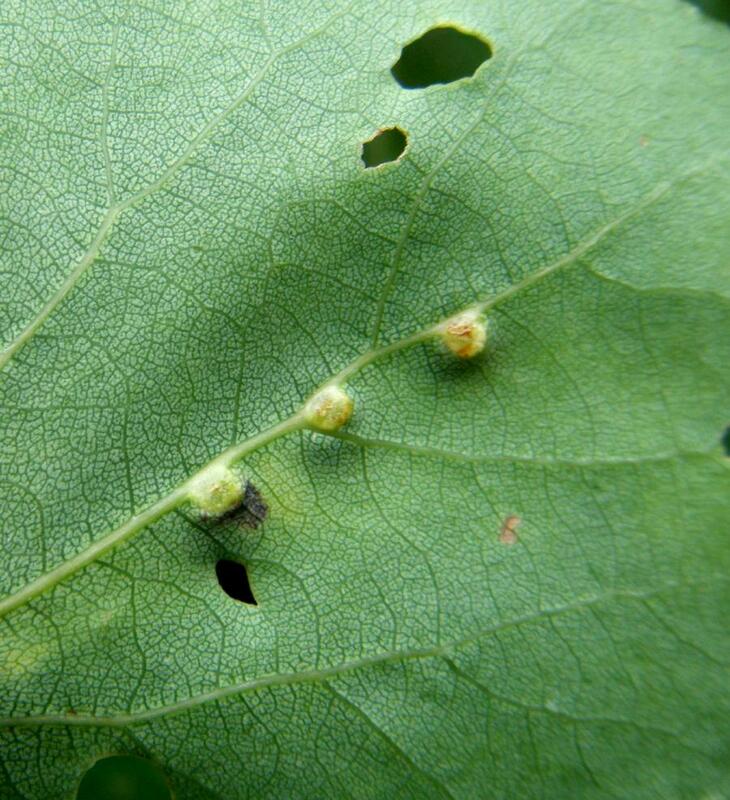 Harmandiola tremulae is a gall midge whose larvae feed on Aspen causing galls to form on the leaves. 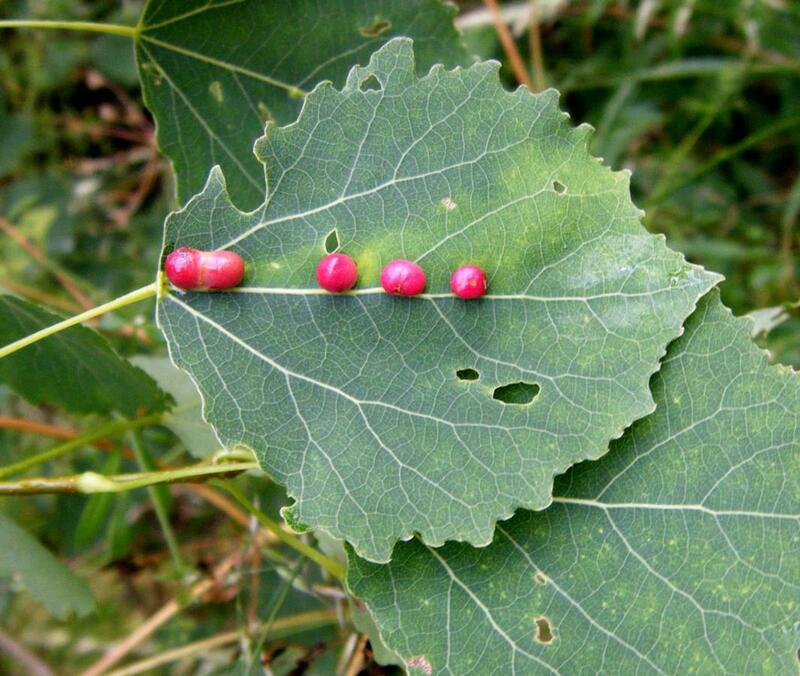 The galls are globose 3 to 4 mm across with thick walls, glossy-red when mature. The galls are far more likely to be found than the adult midge. 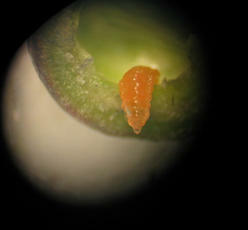 The larval stage is from June to September. 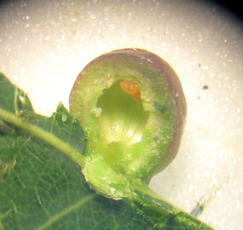 Widespread, though little recorded in Britain. 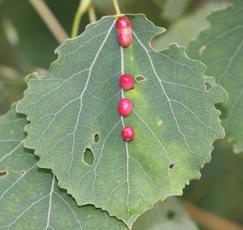 Thought to be fairly frequent in Leicestershire and Rutland.